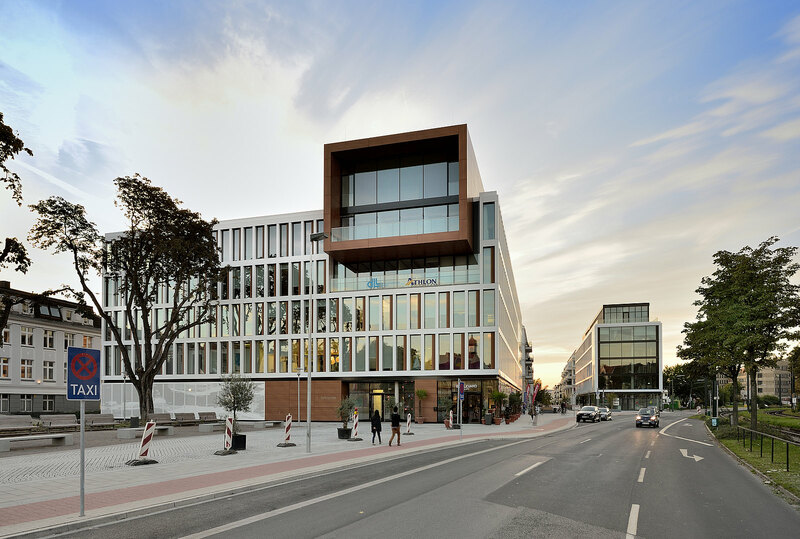 Prominently located in the BelsenPark® district developed by CA Immo, Belmundo stands as a new architectural landmark for Oberkassel thanks to its striking design. The office building was already 70 % let when construction started. 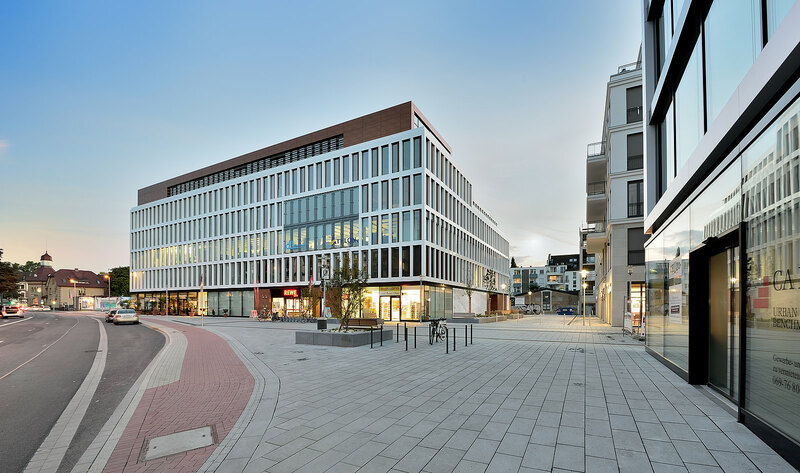 The main tenant of the building is De Lage Landen, the global supplier of leasing and financing solutions, with food retailer REWE occupying the ground floor. 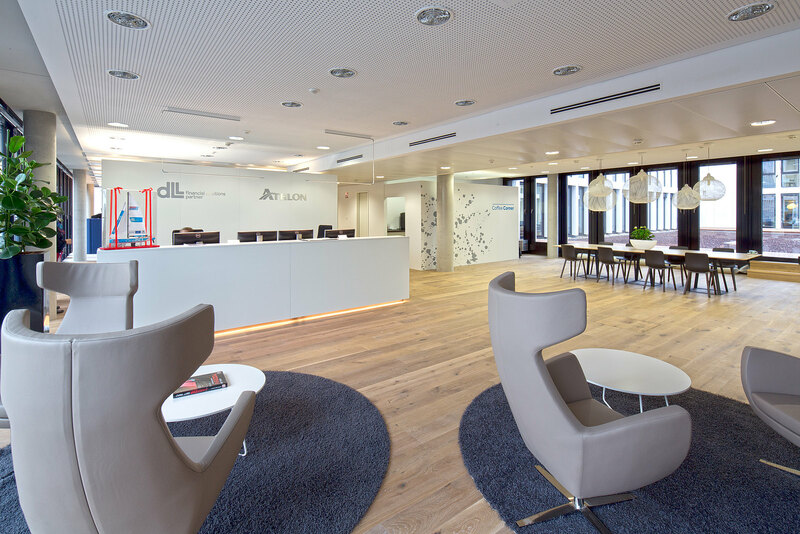 The architectural highlight of Belmundo is the striking office lounge with covered outdoor area commanding spectacular views of Oberkassel, Luegallee and the local park. The modern, light filled office spaces within the building offer high quality yet functional fittings. 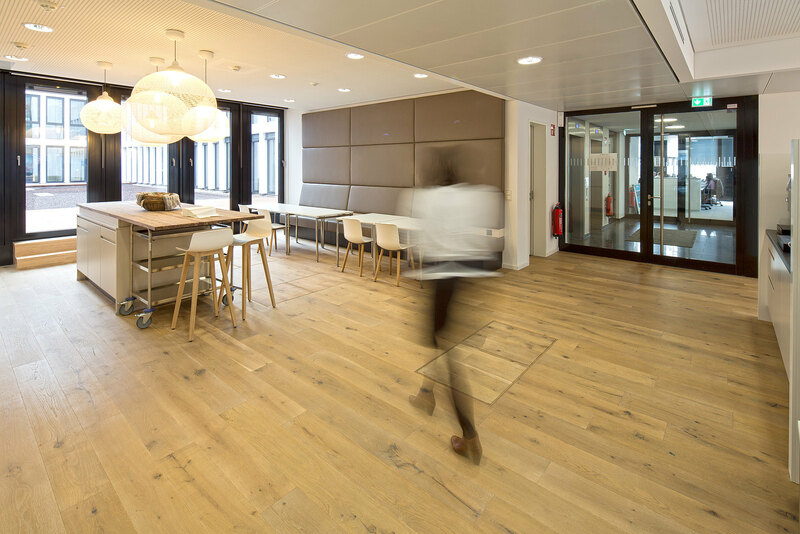 Thanks to efficiently flexible ground plans, single, double, combined and open-plan offices are possible. 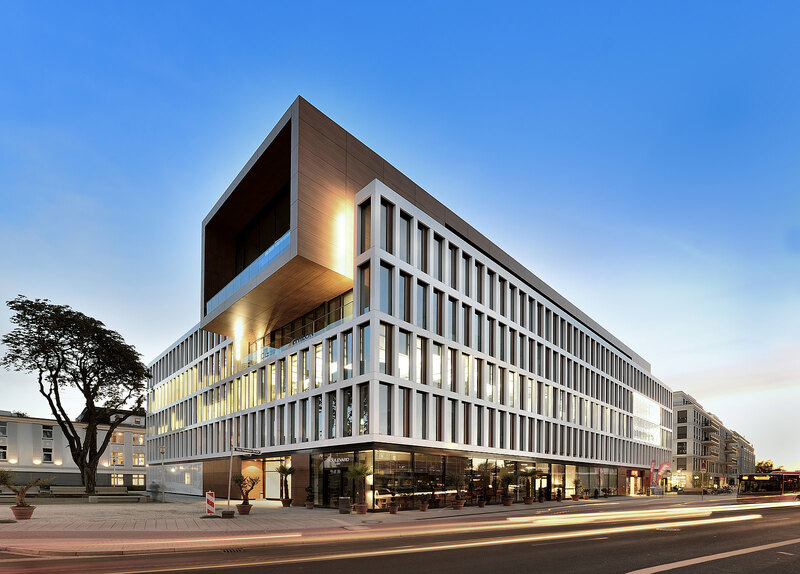 The integrated sustainability concept for the building helps to conserve natural resources while an innovative energy plan includes heated and chilled ceilings for a liveable climate. On the inside, the Belmundo delivers what the exterior promises, with panoramic floor-to-ceiling windows framing uninterrupted views of the park. An imposing entrance area provides a meeting and communication space, while access controls help to ensure the safety of companies based here. The large roof terrace invites relaxation during working hours and provides an exalted location for company events. Other comforts include the underground car park and quality lift system. Oberkassel is one of the most popular districts of Düsseldorf – and the Belmundo stands at its heart, attracting attention thanks to its prominent position on Belsenplatz in the expanding quarter of BelsenPark®. With an unbeatable infrastructure, imaginative blend of usages around the quarter and a two-hectare park on the doorstep, Belmundo promises office tenants numerous advantages. Do you have any questions, or need more information on Belmundo in Düsseldorf? Simply contact us!